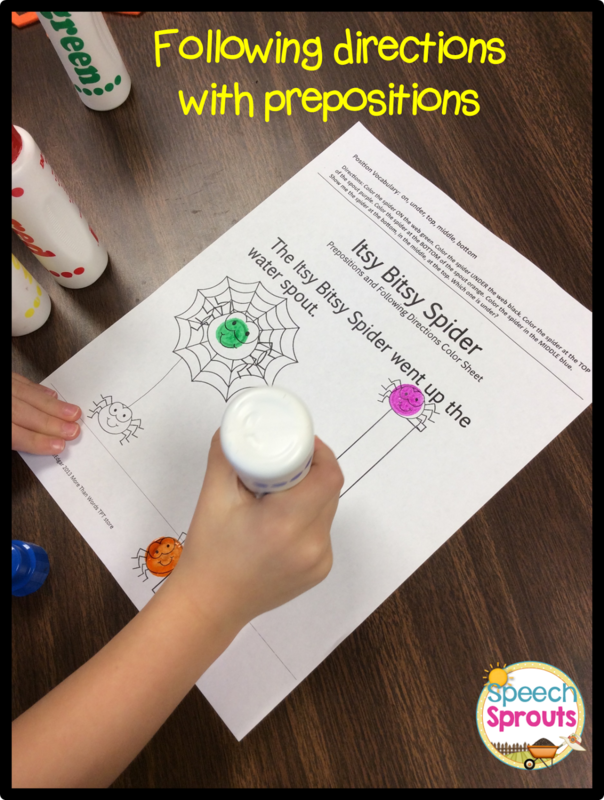 This week we had lots of fun targeting articulation of /sp/ blends and got in tons of language too with the Itsy Bitsy Spider. 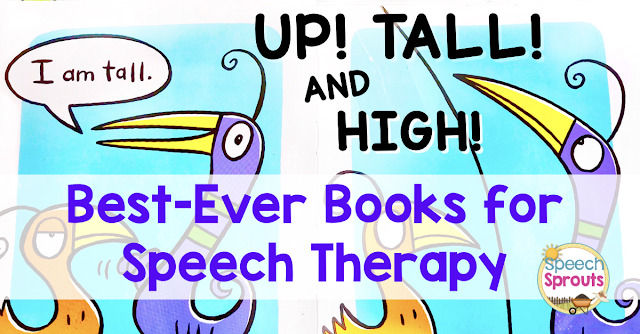 I absolutely love using rhymes, stories and songs in therapy. Yes, we sing a LOT! 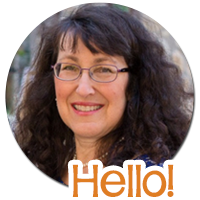 These activities were planned for my preschool groups. If you recall, I have two larger groups (8 and 6 currently) for two hours of therapy. Boy, do we get lots packed in to those two hours! However, if you do traditional small groups, you will find any of these activities would be great for shorter sessions too, and you would have several sessions all planned! 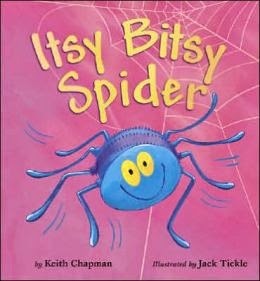 We started off reading the Itsy Bitsy spider by Keith Chapman. I love this book! The little spider gets blown away and lands on all the animals in the farm, before finding his way back home to Mama. The book has a raised, glittery strand of web silk for the children to touch. It's very cool. After our circle time, the children go to centers in my therapy room. "Teacher Time" is with me! 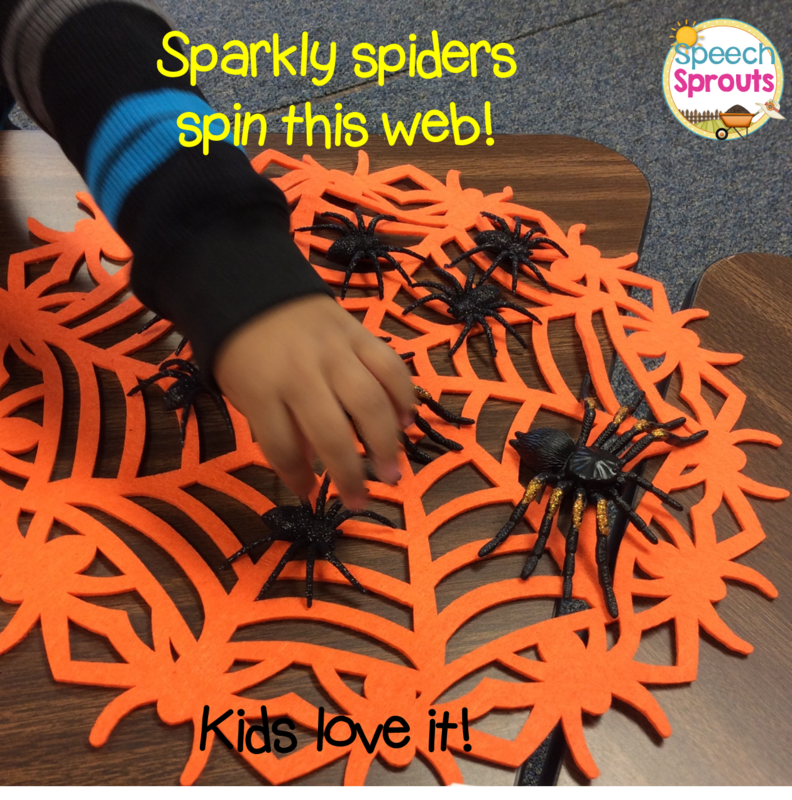 We practiced our /sp/ words and the children got to put a sparkly spider on the web for each one. 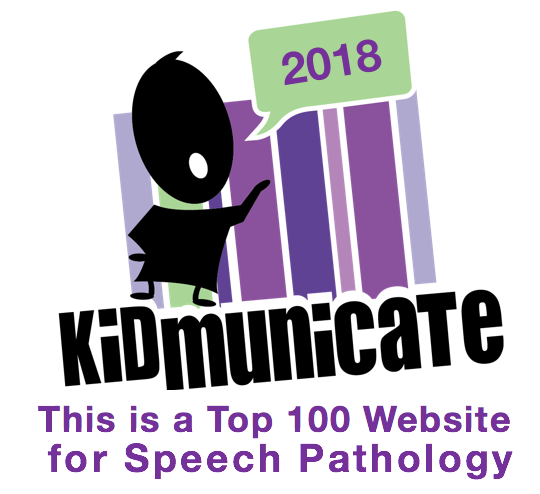 For those at sentence level, we practiced "My spider goes on this spot." or He's spinning a web." We also described the spiders, and talked about the concepts of large and small, more and most. The kids absolutely loved this! I found the web and the glittered spiders at the dollar store. Check the Halloween clearance aisle! Next we did following directions and prepositions. "Find the spider at the top of the spout. Color him purple. Find the spider on the web. Color him green." Everything is more fun with dot markers, but crayons are fine too. 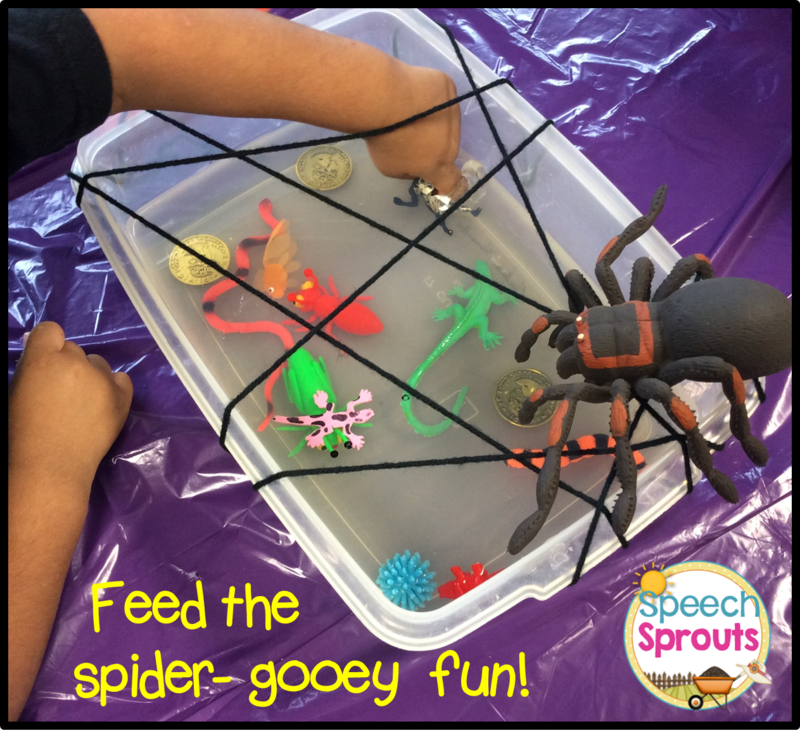 My assistant did this great activity with the kids- ooey gooey sensory fun! This little guy is a bit reluctant to reach in and pull out a toy. We needed to prep the gelatin the night before. Okay, I admit it- we meant to put bugs in the gelatin, but forgot to bring them home, so we improvised. It's amazing what that spider will eat! The kids say "Feed the spider a _____." 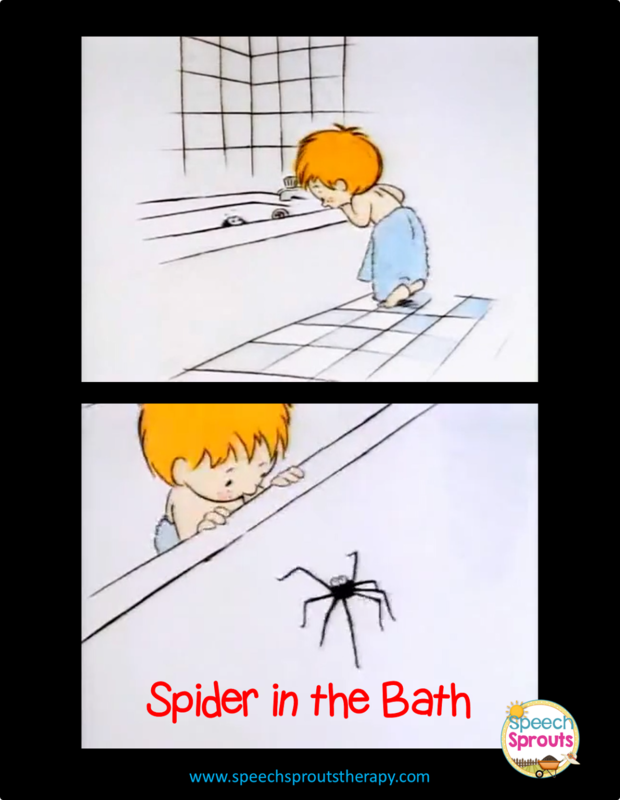 Back at circle time again, we watched this YouTube video, Spider in the Bath. It is so cute. I stop it as it plays and ask questions. It's great for "where?" questions, as that spider gets in all kinds of places! I am lucky enough to have a smartboard, but it would still be fine on a laptop or tablet. Click the caption to go the link. Next time... our second session with spiders. My kids were definitely up for more. They love anything a bit creepy, crawly! See you then. 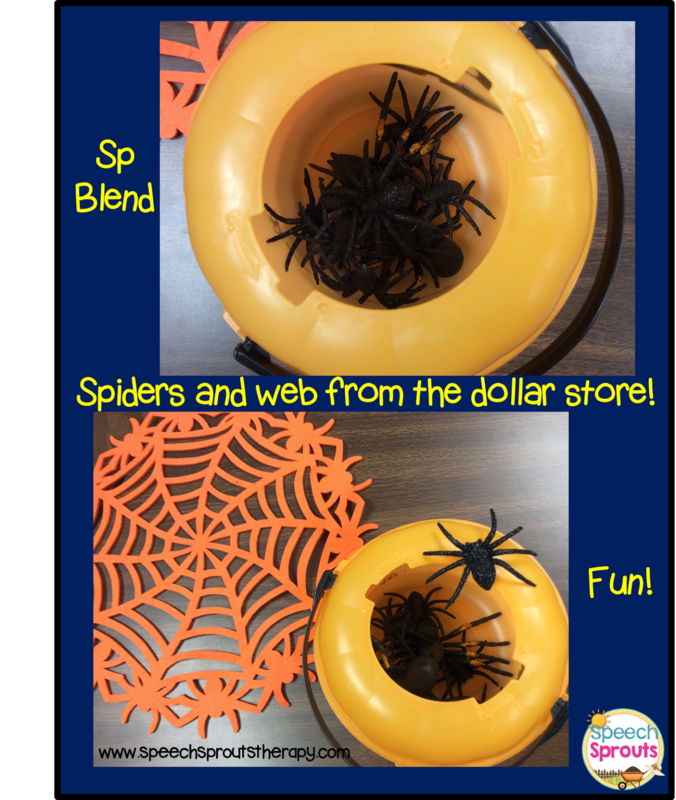 Day 2 of spider fun is posted HERE! Crazy Busy December? 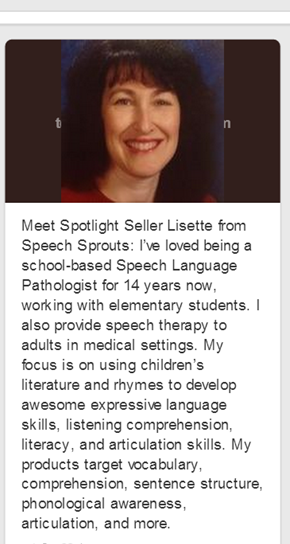 Your SLP Survival Guide. Day 2: More Spider Fun! Do You Love a Half-Off Sale?